IDEA news and updates on IDEA conferences and events may be found at the IDEA news and events link. Below are notifications of conferences and calls for papers other than IDEA events that may be of interest to IDEA members. Third Cambridge Capabilities Conference: Deadline for abstracts 23 April. The focus of our third conference will be on the elaboration and use of capability indicators and other human development and sustainability indicators. We have the privilege of having Professor Mozaffar Qizilbash to be the key-note speaker of the third CCC. 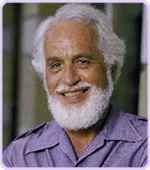 Professor Qizilbash is no stranger to scholars familiar with the capability approach. His contributions to both philosophical and measurement issues, the challenges of designing surveys to capture indicators of dimensions of freedoms are well-known. Indian voices have been underrepresented in recent discussions of global ethics. To remedy this, the Journal of Global Ethics will devote a Special Issue to contributions by or about Indian researchers. The co-editors, Prof. Shashi Motilal (Delhi University) and Prof. Jay Drydyk (Carleton University, Canada) will work with Indian researchers to develop articles on eight topics in global ethics, to be published in the Journal of Global Ethics or in other international journals. In addition to researchers who already publish on topics of global ethics, proposals are invited from social science and policy researchers who wish to develop critical ethical perspectives that may be implicit in their work. Proposals are also encouraged from those interested in taking the step from local to global perspective. Proposals should specify: (a) the authors’ research question; (b) literature in which this question is relevant; (c) the authors’ preferred strategy for answering this question; and (d) some lines of argumentation or types of evidence that will be used. Contributions should be written either by Indian citizens or NRIs (as lead or sole authors), or about Indian thinkers or schools of thought. Normative argumentation in ethics, philosophy, or political theory, in the context of issues relevant to India, is highly desirable; however, the co-editors will assist authors with developing such argumentation in proposals where it is not yet fully explicit. Proposals and inquiries should be sent as soon as possible, on or before January 30, 2018, to Prof. Shashi Motilal at (globalethics.india@gmail.com). Movements versus markets: what, if anything, is special about the organisations and movements of the poor? Admission is free and open to all. Please inform the organizer at sylvia.berryman@ubc.ca if you are attending and wish to be including in arrangements for lunch during the conference. http://hd-ca.org/conferences/2016-hdca-conference-tokyo-japan. In addition to a program well-supported by development ethics presentations generally, a pre-conference workshop early on August 31 will focus upon the work of IDEA board member Gillian Brock, entitled Global justice, the capability approach, and social policy. Registration is requested, see http://hd-ca.org/conferences/2016-hdca-conference-tokyo-japan#anchor6. The Global Justice Network presents its workshop on ethical aspects of the Transatlantic Trade and Investment Partnership (TTIP) and the problem of sovereignty to the European University Institute, in San Domenico, Fiesole (Florence). The workshop will be hosted within the framework of the Max Weber Programme. The workshop date remains June 22, 2016. Confirmed speakers are Saskia Sassen (Columbia and LSE), Ayelet Banai (Haifa University), Clara Brandi (German Development Institute), Peter Dietsch (University of Montreal), Mathias Risse (Harvard Kennedy School), and Gabriel Siles-Brügge (University of Manchester). For interest of participation and any inquires, please feel free to contact Julian Culp (culp@em.uni-frankfurt.de). The Ethics Institute of Utrecht University will organize a two-day workshop on ‘new challenges and contemporary issues in development ethics’. We are happy to present a series of distinguished speakers within development ethics, including Ingrid Robeyns (Utrecht University) and Des Gasper (ISS). The workshop will take place on June 20-21 in the A.W. De Grootkamer (Trans 8, room 0.19) in Utrecht. Participation will be free of charge and coffee/tea and lunch are provided. Details of the program will follow soon. For interest of participation and any inquires, please feel free to contact Morten Fibieger Byskov (m.byskov@uu.nl). Please note that seating for this workshop is very limited and registration is therefore required. The 2016 Brocher Summer Academy in Population-Level Bioethics is open for applications. This year’s session, on the ethics of randomized trials in development economics and health policy, will take place in the beautiful Brocher Villa on Lake Geneva in Switzerland, between 20-24 June 2016. We would be grateful to you for referring suitable candidates. The deadline for applications is March 11, 2016. This Summer Academy brings together leading experts in ethics, economics and the health sciences to discuss an important ethical issue with immediate implications for assessing the impact of our interventions for economic development and health systems design. The rapid acceptance of randomized trials as a source of evidence in development economics and health policy has been accompanied by debates over their evidentiary value and, thus far less openly, their ethics. The ethical issues they raise have played a role – often unacknowledged – in decisions on whether and how they should be carried out. For example, Prof. Jeff Sachs replied to critics who faulted his “Millennium Villages” project for lacking controls that he had been advised that this would have been unethical. As randomized trials in development economics and health policy research increase in prominence, ethical questions should be sorted out, sooner rather than later—before ethical abuses, or unnecessary regulation, take hold. Participants will have a unique opportunity to interact closely with our distinguished speakers, such as this year’s Nobel Prize winner in Economics Angus Deaton, Econometrics text book author Josh Angrist, President of the World Medical Association Michael Marmot, World Bank economist Adam Wagstaff, and leading philosophers including Nancy Cartwright. We would very much appreciate if this information were circulated to excellent potential participants, from related academic disciplines and areas of practice. Candidates from developing countries are especially welcome. Some leaders of population-level bioethics started their careers in previous sessions of the Summer Academy. Please be sure to email Anders Huitfeldt <anders@huitfeldt.net> their names: your endorsement will ensure that their applications receive close attention. If you yourself might be interested in taking part, please let us know, as we have in the past been able to accommodate a number of respected peers who are not themselves speakers on the program. More information is available on the Brocher Foundation’s website at www.brocher.ch/en/events/203/brocher-summer-academy-in-population-level-bioethics-ethical-design-of-randomized-studies-in-developing-countries. Note in particular the deadline for applications: March 11, 2016. “Development Ethics and Global Justice: Gender, Economics and Environment” is a four-week National Endowment for the Humanities Summer Institute, to be held Monday, June 22 to Friday, July 17 2015 on the campus of Michigan State University. It follows upon a similar successful 2013 NEH Institute, “Development Ethics: Questions, Challenges and Responsibilities.” The 2015 Institute will concern matters of global justice with an eye to gender disparity, distributive justice and individual economic opportunity, and our common environmental future. Feminist theory and care ethics, climate change, and women’s economic development in South Asia are particular strengths among guest speakers at the Institute. The post-2015 United Nations Sustainable Development Goals will provide a focus for our consideration of the ethics and implications of policy concerning human and social development. Under the guidance of distinguished scholars, NEH Summer Institutes provide intensive collaborative study of texts, topics, and ideas central to undergraduate teaching in the humanities. NEH Summer Institutes aim to prepare NEH Summer Scholars to return to their classrooms with a deeper knowledge of current scholarship in key fields of the humanities. “Development Ethics: Questions, Challenges and Responsibilities,” concerns new directions in development ethics, a young sub-field of ethics and social and political philosophy that has grown to maturity over the past thirty years, as philosophers have noted evident weaknesses in global aid and development efforts of the mid and late 20th century. Co-directors Fred Gifford (Michigan State University) and Eric Palmer (Allegheny College) will gather twenty-five U.S. faculty members at Michigan State University to review the first generation of scholarship and frame the discussion for the next generation. They will work with the guidance of eight visiting speakers, and four more experts resident at Michigan State University. Detailed information on this seminar will be posted by January 2013. Congratulations to Stacy Kosko and Shalini Iyengar, the winners of the Denis Goulet Memorial Prize for 2011. In 2005 the Board of the International Development Ethics Association first considered the idea of a Prize called the Denis Goulet Prize to honour the work of Denis Goulet, who can be regarded as the spiritual father of the International Development Ethics Association and indeed the newly emerging discipline of development ethics. Tragically since then he has died, after a long battle with cancer, on December 27th 2006. We then renamed the Prize the Denis Goulet Memorial Prize. Denis Goulet had been associated with the International Development Ethics Association ever since its inception in Costa Rica in 1987. He was an inspiration to many IDEA members, in that his writing promoted a serious concern for ethical and normative issues in development over a period when mainstream thinking had no interest in this approach. This Prize will be offered from time to time, usually in the period following an IDEA international conference, which is open to any student in undergraduate and graduate programs, whether or not they have attended a recent international conference. (But this does not apply to someone who is in a professional position but also doing a degree at a later stage in their career, or to someone already involved in a Post Doc position.) We particularly want students from economically poorer countries to take part in this, and hope that academics who hear about this Prize will encourage their students to enter. The winners of the prize will have the recognition by IDEA of the standing of his or her essay in the eyes of the panel of IDEA judges, and his or her essay will be posted on the IDEA website. Whilst we cannot guarantee that it would be accepted in an academic journal, the expectation of the judges in awarding the Prize would be that the paper would be of an acceptable standard, and a note to the effect that that the paper won the IDEA Denis Goulet Prize in Development Ethics in 2007 (or whatever later year it is) may be added to it. In addition IDEA will offer free registration at the next international conference which the student can attend, along with a modest honorarium. Papers are invited, following the Ninth International Conference of the International Development Ethics Association at Bryn Mawr College, Bryn Mawr, Pennsylvania, U.S., June 9-11, 2011. Submissions by postgraduates or undergraduates of papers given at the conference are welcome but equally papers from students not attending the conference or giving papers at it are welcome. Papers should be submitted in the form of journal articles, fully referenced according to the Harvard method, between 4000-5000 words, double spaced, with 1” plus margins in A4 or letter size paper format (but capable of being sent as an email attachment in Word). Just as Denis Goulet recognised that development ethics is both about theory and practice, a paper can cover either broad ethical issues about development in general, or it can also focus on particular cases, such as particular development projects or the policies of a particular country. It is NOT necessary that the paper should focus on or even mention the works of Denis Goulet, but familiarity with his writing and approach may be an advantage. 30th September, 2011. Please submit, as electronic attachments, to Jay Drydyk (jaydrydyk@gmail.com), the receiver of the entries. Each candidate should submit two files, one with the body of the text including the title with no information on it to indicate the name of the candidate, but with an indication of whether it is from the South or the North (‘S’ or ‘N’); the other with a cover page which should include student’s name, address, email, programme, institutional affiliation and also region (the South or the North (S or N). The IDEA President in consultation with the Executive Board has appointed a panel of experienced development ethicists to assess the essays: Nigel Dower, BA, MA, PhD, TDhc, FRSA, Honorary Senior Lecturer, University of Aberdeen, former President of IDEA; Workineh Kelbessa, BA, MA, PhD, Associate Professor in the Department of Philosophy, Addis Ababa University; Lori Keleher, BA, MA, PhD, Assistant Professor, Dept of Philosophy, New Mexico State University.